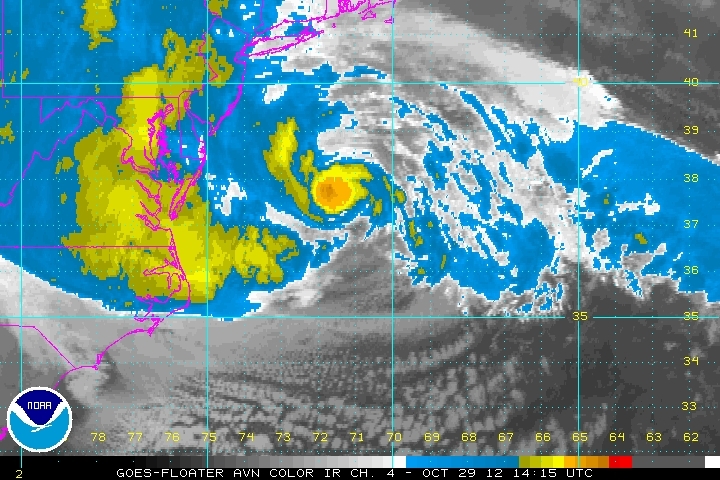 Hurricane Sandy is barreling up the East Coast leaving destruction in her path and causing preemptive evacuations ahead of her arrival. But for many cloud-based startups, the frankenstorm is little more than a nuisance. Thanks to WiFi connections (should they stay in tact), email, Skype, FaceTime, and a host of other tools, staying in touch with work while you’re away from the office has never been easier. And that means that keeping your employees safe—and your business running—is simpler than ever before. And these storms, while still a menace to our offices, city infrastructures and clients, don’t mean that business has to come to a complete stop. Consider the staggering statistics. Shutting down New York City’s subways and the New York Stock Exchange—an unprecedented preemptive move for a hurricane—is expected to cost the city in excess of $58 billion dollars, according to WCVB Channel 5 reports. Being forced to shut down for two days cold be devastating for a small business, which loses 40% of its revenues, or more, due to merchandise being stuck in transit, customers not receiving shipments, employees getting salaries for staying home, all for ensuring safety and dealing with the consequences of a storm like this. But when your business is digital and relies mostly, or wholly, on the cloud, a disruption such as Sandy is just that—an obstacle you have to figure out how to work around. Clients can still get service, the product can still be delivered, and employees can safely work from home, trading emails, chatting online, staying connected to the core of the business and the mission. Even if you’re a brick-and-mortar business, dealing in e-commerce or partially digital, invest in customer service that stores its records in the cloud. Because the best thing you can offer your customers today is piece of mind. If they can connect to a person who can reassure them that their package is indeed on its way, if you can track exactly where it is, if you can give them an idea of when it will get there—whether it’s being held up by Sandy or not—they’ll appreciate how forthcoming, responsive, and on top of it you are. In the meanwhile, stay safe and make sure to check in with your staff on a regular basis.